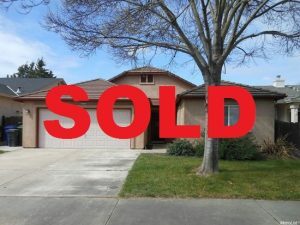 North Turlock Home! Separate Living and Family areas. Big open Kitchen with an island. Vaulted Ceilings throughout. Approx. 1526sf with 3 Bedroom and 2 full baths. Wood Laminate and Tile Floors throughout. Good Size Backyard with Tool Shed, Patio, and Spa. Walking Distance to the School, Parks, and the University. This home is ready to move into.